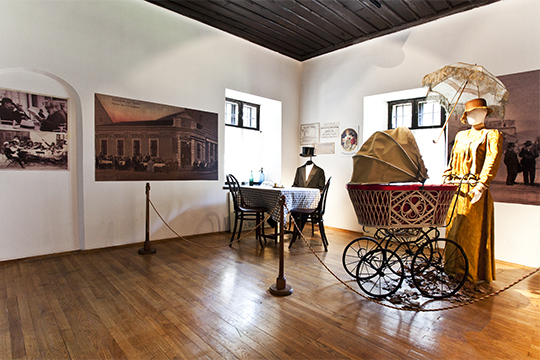 At the Residence of Prince Miloš in Topčider, visitors can see the permanent exhibition „Miloš Obrenović – dynasty, history, myth”, dedicated to the creator of the modern Serbian State, Prince Miloš, and his illustrious role in the liberation from Ottoman rule, as well as to the importance of his successors in the Obrenović dynasty for 19th-century Serbian history. 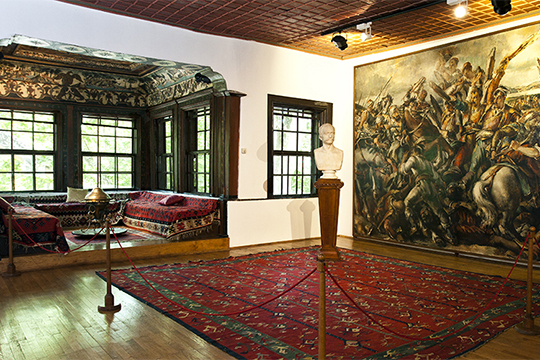 The exhibition includes the oriental porch, the so-called divanhana, a reconstruction of the original inner room of Prince Milos Obrenović, where the death-mask of the ‘Father of the Fatherland’ is displayed, as well as the rooms in which a large number of works of art, lithographs, documentary material and personal belongings tell us more about the founder of the Obrenović dynasty, his family, successors and life at the Serbian court. 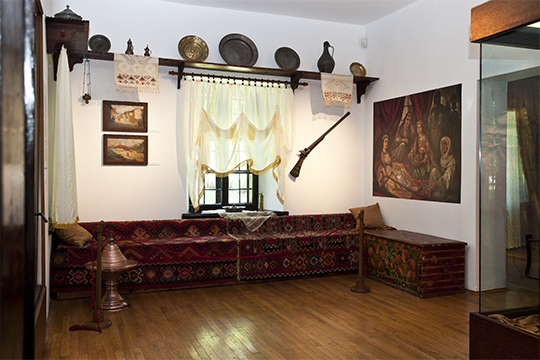 Two permanent exhibition spaces present the development of nineteenth-century Serbian society by showing aspects of everyday and private life, and urban and rural life. 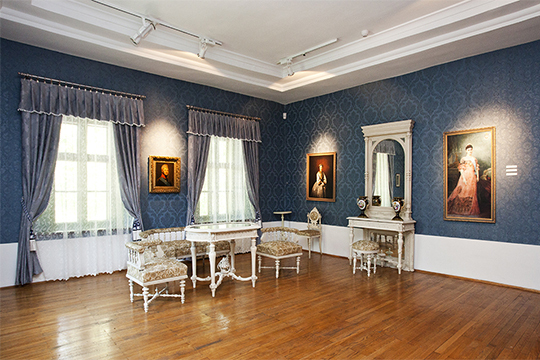 The political struggle for the independence of the state and its social, political and economic order facilitated the accelerated process of the modernization of such aspects of social life as are manifested through developments in fashion, home decoration, the use of private and public space and the acquisition of new social habits.